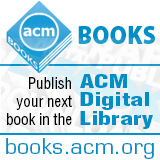 Welcome to the May 14, 2014 edition of ACM TechNews, providing timely information for IT professionals three times a week. The European Court of Justice on Tuesday said Google should allow online users to erase links to content about them after a certain amount of time, in a ruling that rejects long-established Internet practices. The court said people had the right to determine what others can find out about them by searching the Internet, and said search engine operators should erase links to Web pages unless there are "particular reasons" not to do so. "Some will see this as corrupting. Others will see it as purifying," says Harvard University professor Jonathan Zittrain. "I think it's a bad solution to a very real problem, which is that everything is now on our permanent records." The court's decision cannot be repealed and clashes with U.S. First Amendment rights. The European Court said search engines played an active role as "data controllers" and should be held accountable for their links, and also said "as a general rule" they should place the right to privacy over the right of the public to find information. Google said the ruling was disappointing and noted it differed significantly from a preliminary verdict last year. Analysts say the ruling leaves many unanswered questions and could lead to the imposition of digital borders. Estonia's electronic voting system cannot guarantee fair elections because of fundamental security weaknesses and poor operations procedures, according to an international team of security and Internet voting experts. During their analysis, the researchers identified a large number of poor security practices that ranged from election officials entering sensitive passwords and PINs while being filmed to system administrators downloading critical applications over insecure connections and using personal computers to deploy servers and build the client software distributed to votes. In addition, the researchers used open source code to replicate the electronic voting system and created several practical server-side and client-side attacks against it. The researchers also developed malware that can record PIN numbers and later change votes while ID cards are attached to voters' computers for different operations. "There are so many attack vectors by which you could dirty the machines used to set up the elections that we believe this to be a very credible and viable attack; and we have photographic evidence on our website showing a personal computer with links to poker sites being used to set up the critical election systems [in Estonia]," says Open Rights Group researcher Jason Kitcat. The United Nations on Tuesday began its first-ever multinational convention on "lethal autonomous weapons systems." The meeting is taking place over three days in Geneva under the framework of the Convention on Certain Conventional Weapons, which aims to ban or restrict conventional weapons considered to cause unnecessary or unjustifiable suffering to combatants or civilians. The 117 member-states will attempt to define what an autonomous weapon is and whether it fits into the definition governed under the convention, and delve into legal and ethics questions. The meeting will hear from robotics, military, and human rights law experts, as well as from the International Committee of the Red Cross (ICRC), which held a seminar on the issue in March. The ICRC said in its report there was a sense of "deep discomfort with the idea of allowing machines to make life-and-death decisions on the battlefield with little or no human involvement." Georgia Institute of Technology professor Ronald C. Arkin, who will participate in the meeting, believes autonomous weapons could reduce human casualties in war. However, he says the systems should not be deployed unless they can comply with international humanitarian law. Researchers at the Swiss Federal Institute of Technology in Lausanne's (EPFL) Learning Algorithms and Systems Laboratory have developed a robot that can react in real time to grasp objects with complex shapes and trajectories in less than five hundredths of a second. The arm measures about 1.5 meters in length, and the robot keeps it in an upright position. The arm has three joints and a hand with four fingers. The researchers note the ability to catch flying objects requires the integration of several parameters and reacting to unforeseen events in record time. "Today's machines are often pre-programmed and cannot quickly assimilate data changes," says EPFL's Aude Billard. To overcome this limitation, the researchers developed a new technique, programming by demonstration, which does not give specific directions to the robot, but rather shows examples of possible trajectories to the robot. In the first learning phase, objects were thrown several times in the robot's direction. The robot uses a series of cameras to create a model for the objects' kinetics based on their trajectories, speeds, and rotational movement. The researchers then translate the data into an equation that enables the robot to position itself very quickly in the right direction. The U.S. National Science Foundation's (NSF) Directorate for Computer and Information Science and Engineering on Monday announced $15 million in awards to three projects that will develop future Internet architectures. The projects aim to improve security as well as scalability and to address service challenges. The projects will build on projects that were initially funded in 2010 through the NSF Future Internet Architectures (FIA) program, moving them from the design stage to piloted deployments. Researchers will conduct large-scale tests of the designs in challenging, realistic environments. The projects explore new network architectures and networking concepts, design alternatives, and systematic architecture choices. The three projects supported through the FIA-Next Phase (FIA-NP) include the Deployment-Driven Evaluation and Evolution of the eXpressive Internet Architecture, Named Data Networking Next Phase, and the Next-Phase MobilityFirst Project. The researchers have created pilot versions of all three networks and collected community input. Although no single architecture is expected to completely supplant existing architecture, the proofs of concept will address challenges and offer ideas that industry or the government could adopt. "By supporting challenging new architectures, we expect the FIA-NP projects to create and sustain the intellectual capital needed for future innovations," says NSF's Darleen Fisher. "Equally important, the FIA-NP projects will continue NSF's goal of training a new generation of researchers in exploring, designing, and deploying large-scale networking systems." The Multidisciplinary University Research Initiative, funded by the U.S. Office of Naval Research, will examine the challenges of creating autonomous robots with a sense of morality. The U.S. Navy will collaborate on the project with Tufts University, Brown University, and Rensselaer Polytechnic Institute (RPI). "Moral competence can be roughly thought about as the ability to learn, reason with, act upon, and talk about the laws and societal conventions on which humans tend to agree," says Tufts Human-Robot Interaction Laboratory director Matthias Scheutz. "The question is whether machines—or any other artificial system, for that matter—can emulate and exercise these abilities." Using theoretical and empirical research, the researchers will identify essential elements of human moral competence. Next, the team will create formal frameworks for modeling human-level moral reasoning that can be confirmed, and implement corresponding mechanisms in a computational architecture. With such an architecture in place, researchers can conduct human-robot interaction experiments to assess the performance of robots in a range of situations. RPI's Selmer Bringsjord is working to make moral logic intrinsic to robots. All robot decisions, under Bringsjord's approach, would automatically be subject to a fast, preliminary ethical check using simple logic inspired by the most advanced artificially intelligent and question-answering computers. Web application developer is the U.S.'s best entry-level job, according to a new WalletHub study, which compared 109 types of entry-level jobs based on 11 key metrics ranging from starting salary to industry growth. However, Web application developer ranked only 26th in starting salary, with a median salary of $55,235, and 13th in income growth potential, notes WalletHub analyst John Kiernan. The overall median salary for a new Web developer was $63,160. In comparison, information security analyst was the second-best entry-level position, and its median starting salary was $54,420 and its median salary overall was $88,590. Web designer tied for third best entry-level job, while software engineer was fifth, network engineer was eighth, programmer was 10th, database administrator was 13th, and systems administrator was 19th. Although information technology jobs did not dominate the list of fastest projected job growth by 2022, information security analyst ranked second with a 36.5 percent projected growth rank, and computer numeric control machine programmer ranked fourth at 27.6 percent. Joanneum Research computer scientists have developed a weather radar image analysis algorithm that automatically identifies various kinds of interference and removes it, pixel by pixel. The algorithm also looks for shadows in the images where the terrain prevents weather-related echoes from reaching the receiver. "Improvement of weather radar images is essential for an accurate prediction of weather phenomena and atmospheric conditions, which is furthermore an essential factor in the work process of air traffic controllers," says Joanneum researcher Harald Ganster. He notes their approach relies on the special characteristics of different kinds of interference. For example, Wi-Fi appears in radar images as a straight line. The researchers' algorithm maps all straight lines in an image into vertical ones, which are then easy to remove. Ganster says because there are no naturally occurring structures that are straight, at least not on weather radar images, this removes Wi-Fi interference with high accuracy. He says the new system "is able to improve weather radar images in a meteorologically reasonable manner." IBM recently announced it is partnering with several top U.S. technology universities to launch cognitive computing courses that give students access to its Watson computer system via the cloud. Next fall, cognitive computing courses will be offered at Carnegie Mellon University, New York University, Ohio State University, Rensselaer Polytechnic Institute, the University of California, Berkeley, the University of Michigan, and the University of Texas in Austin. The courses will provide students with the technical knowledge and hands-on learning required to develop cognitive computing applications using Watson's cognitive technology. The students will choose an industry to focus on and will develop prototype apps and a business plan based on that industry. "Classmates will split up into teams, identify uses for Watson, develop apps, and also write business plans—as if they're entrepreneurs creating startups," says University of Michigan professor David Chesney. The initiative is part of an ongoing effort to expand and strengthen student skills and understanding of big data and analytics, with the goal of meeting the growing demand for highly skilled analytics professionals. Students who take the courses will learn about Watson and its underlying natural-language processing and machine-learning technologies. As the U.S. Federal Communications Commission (FCC) wrestles with the complex issue of net neutrality, proponents of the concept say regulations are necessary to keep the Internet open to everyone equally. The FCC is preparing to vote this week on a proposal to allow Internet providers to charge content companies a fee for faster access to users, which has prompted an enormous backlash. One influential voice in the debate is Columbia University professor Tim Wu, who introduced the net neutrality concept in 2002. Wu says the Internet should be handled as a regulated utility. FCC officials, including former commission chairman Michael Powell, have been heavily swayed by Wu's ideas. Powell supported Wu's net neutrality ideas and maintained an open Internet, but used a light regulatory touch that has left some issues unresolved. In a designation that has become increasingly significant, Powell determined the Internet was an "information service" rather than a more closely regulated "common carrier." The U.S. Court of Appeals for the District of Columbia Circuit in January struck down open Internet rules on the grounds the FCC had regulated broadband carriers as common carriers without designating them as such. Wu says the FCC should exert authority over broadband carriers as common carriers under Title II of the Communications Act of 1934. Researchers at the Technical University of Madrid (UPM) and Loja University have developed an optimizing model of a routing protocol for mobile ad hoc networks (MANETs) used in emergencies and rescues. The model is based on an improved clustering algorithm and the creation of a new routing protocol that enables users to easily find an evacuation area in case of emergency. The researchers say their MANET technology can be integrated into smartphones and provides a flexible and dynamic network that can be used in emergency situations. The improved algorithm, called Group Management Weighted Clustering Algorithm, which is based on the Weighted Clustering Algorithm, enables the estimation of the best number and size of clustering in networks. The researchers say the improvements prevent permanent regroupings and give the cluster head node a longer life. The proposed protocol, called QoS Group Cluster Based Routing Protocol, relies on the hierarchical clusters supported by the clustering algorithm. University of Michigan researchers have developed a smartphone app that monitors the subtle qualities of a person's voice during normal phone conversations to detect early signs of mood changes in people with bipolar disorder. The researchers hope the app will give people with bipolar disorder an early warning of mood swings. The system is called PRIORI because the researchers hope it will result in a biological marker to prioritize bipolar disorder care to those who need it most urgently. "These pilot study results give us preliminary proof of the concept that we can detect mood states in regular phone calls by analyzing broad features and properties of speech, without violating the privacy of those conversations," says University of Michigan researcher Zahi Karam. The app runs in the smartphone's background and automatically monitors the user's voice patterns during all calls made. During a conversation, the software analyzes the characteristics of each of the sounds made. During testing, the researchers demonstrated their analysis of voice characteristics could detect elevated and depressed moods. They also say the detection of mood states will improve in the future as the software gets trained based on more conversations and data from more patients. In an interview, Ayla Networks co-founder and Stanford University professor Thomas Lee discusses the future of the Internet of Things (IoT). Lee notes the definition of the IoT has evolved since its conception in the 1990s, when it was largely seen as a mechanism for machine-to-machine communications. "Since then, the trajectory's surprised people," he says. "Humans are now part of the loop in a very intimate way, and I think that will continue to be true as we inhabit a far richer, more interesting world where we're increasingly interconnected with things." Lee envisions the smartphone as "having become a kind of digital remote control for my life," which he will use to turn things on and off as the IoT matures. He also says the IoT will be used for security and monitoring, and to merge data from various geographical areas. For example, wireless sensors could provide alerts when rust appears on bridges, to help municipalities address problems while avoiding superfluous inspections. Although he concedes that standards wars are likely to occur, Lee predicts the IoT will connect 50 billion objects in the next five years and 1 trillion devices by 2030. Lee says making these objects will require a new skill set and involve new companies.